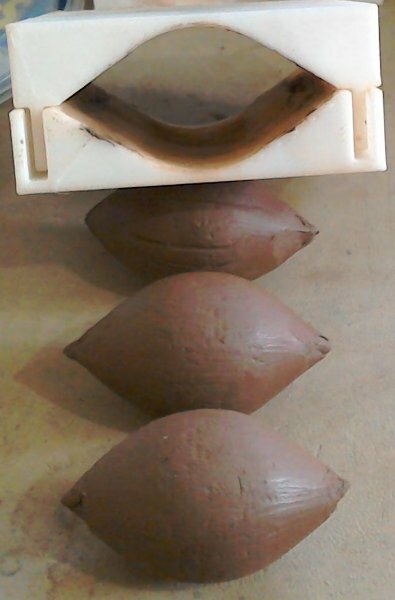 These are 2 part custom made moulds designed to produce consistently sized and shaped clay glandes by using a sliding motion to roll the clay into the required size and shape. Mould lengths are twice the diameter of the glande plus 20mm. This gives plenty of length for a complete roll and after a fair bit of experimentation is what I've decided is an ideal length. 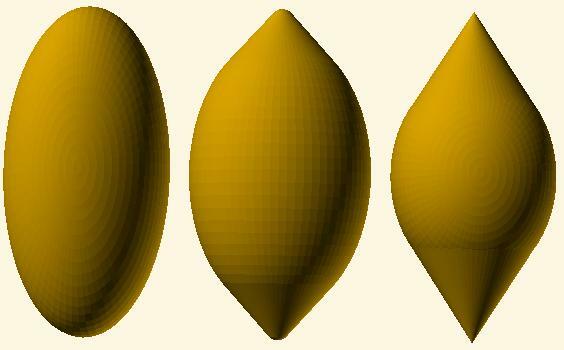 The basic shape can be changed considerably, depending on the proportion of diameter to length. So here are a few variations to give you the idea of how proportion makes all the difference. 1:1 - essentially round, not recommended as it's easier to just hand roll a rough sphere. 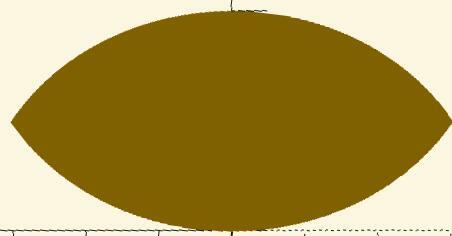 Bear in mind that the basic shape is NOT effected by the size of the glande - just the proportion of diameter to length. These are used to put a word into the clay while it's still fairly soft. 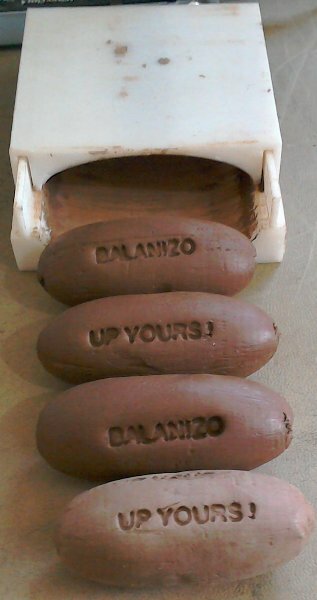 I find that if you wait a while after rolling for the clay to firm up slightly, pressing the text in doesn't deform the rest of the glande as much. I will throw in 1 free text stamp with each mould set. Bear in mind that the text stamps are currently straight (might tackle curved at some point in the future) and the glandes surface is curved. So short words or phrases currently work best. Other things to bear in Mind. All sizes given are for fresh/wet glandes. Glandes will shrink and lose weight as they dry and harden. So if you actually want a hardened 60x30 glande. You'll probably need to start with something closer to 70x35 or even 80x40. To give you some idea. My modelling clay guam glande that started out at 72mm x 37 (same size as my coral guam glande) used around 102 gms of wet clay. Length is now 65.5 and diameter is: 36. So i lost around 10% weight, 10% length and hardly any diameter, kinda weird. 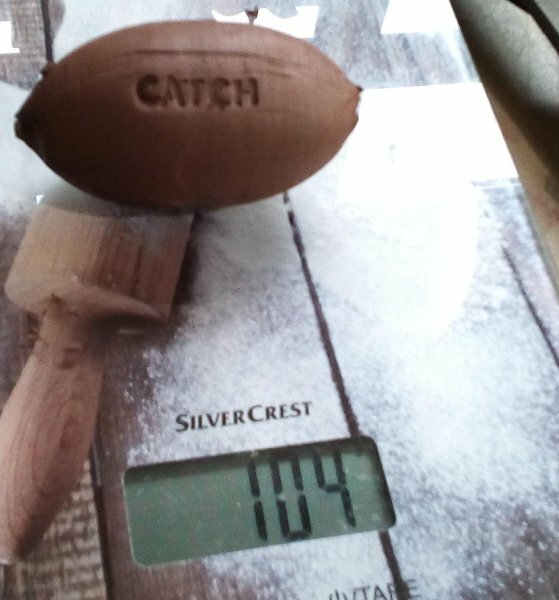 So aim for around 10% loss in weight and length on air dried clay. 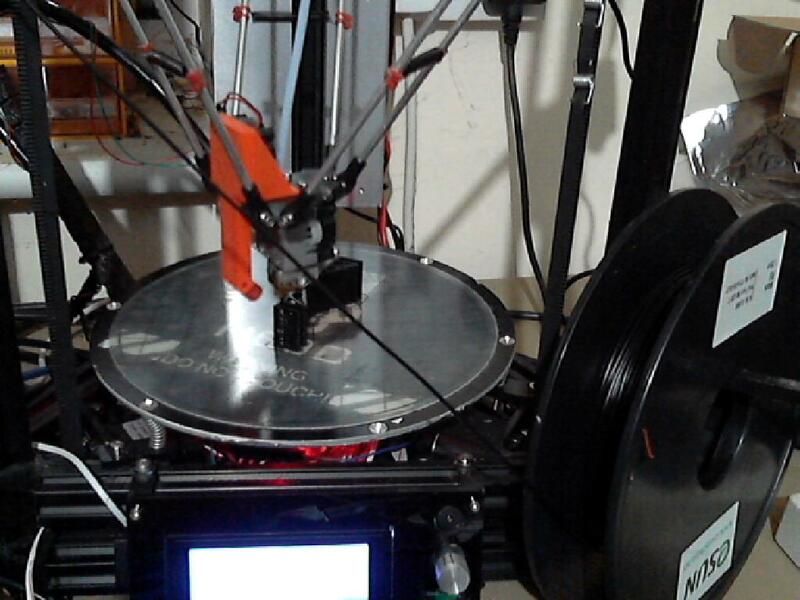 By Default this will be PLA (Polylactic acid) A hard durable plastic. That is biodegrable if left in a hot compost heap for several years. It's produced primarily from cornstarch. So if you care, it's planet friendly and made from renewable resources. 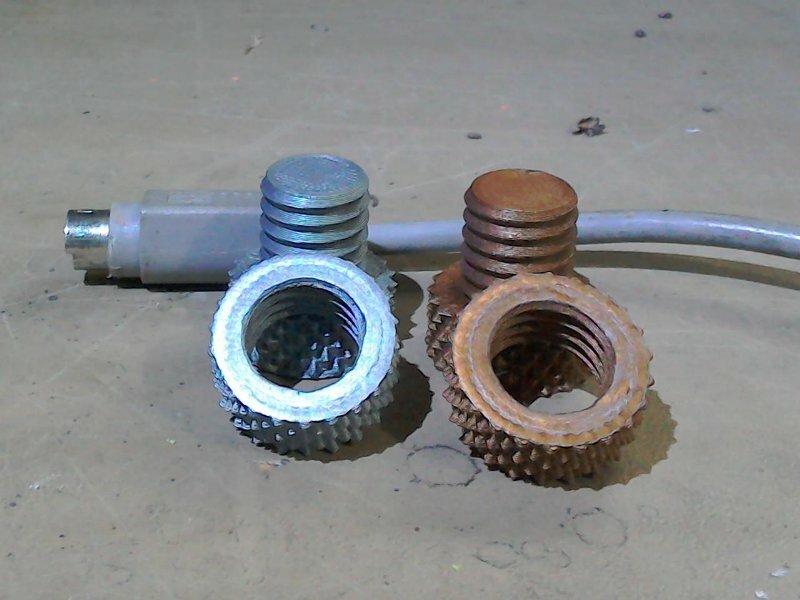 It's a hard and pretty durable material and with a little care, your moulds should last for many years. Colour will probably be either white or black, depending on what i have most of at the time. I can also offer it in transparent, yellow and usually red. If you want a specific colour, please ask - otherwise it's pot luck. So as he's currently out of stock on the aluminium - I haven't been able to buy any yet. Just had short sample lengths. Prices are based on a 30x50 glande being the base - which is £10 and also the minimum price. ie: a 30x50 or anything smaller will cost £10 - anything bigger will cost a little more. 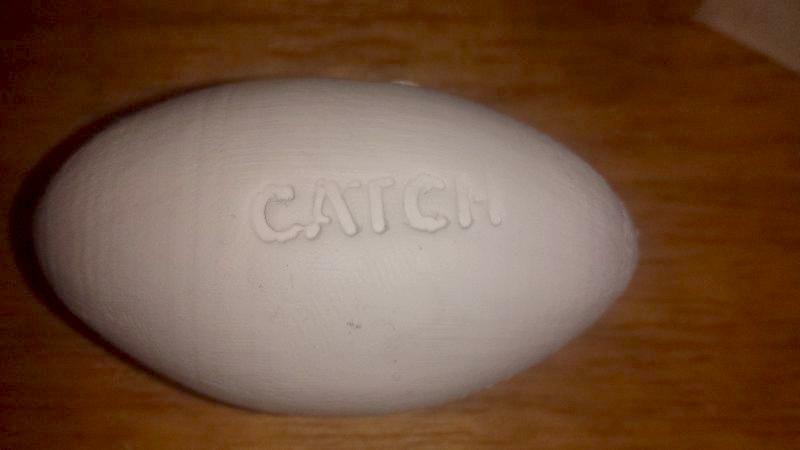 It's a good size and shape for distance slinging and you probably don't want to go much smaller. They are pretty much the same size and shape as the ones Uwe was using last year. Pricing will be calculated base proportionally on the volume of the mould in relation to the 30x50 standard. Add the length and diameter of the size you want together and divide by 8. So a 75x40 mould would be: 115/8 = £14.375. I will knock £1 off the overall bill for every subsequent mould you buy. Decide what size mould you would like and contact me. I will produce a 3d model of the glande and send that back to you with the calculated cost and p&p. If you are happy with the shape and cost, pay me via Paypal and I will make and ship the mould asap. Moulds can take anywhere from 5 hours on up to well over 10 to make. So I will undertake to ship within 3 days of receiving the order. If there is a delay for any reason I will tell you. 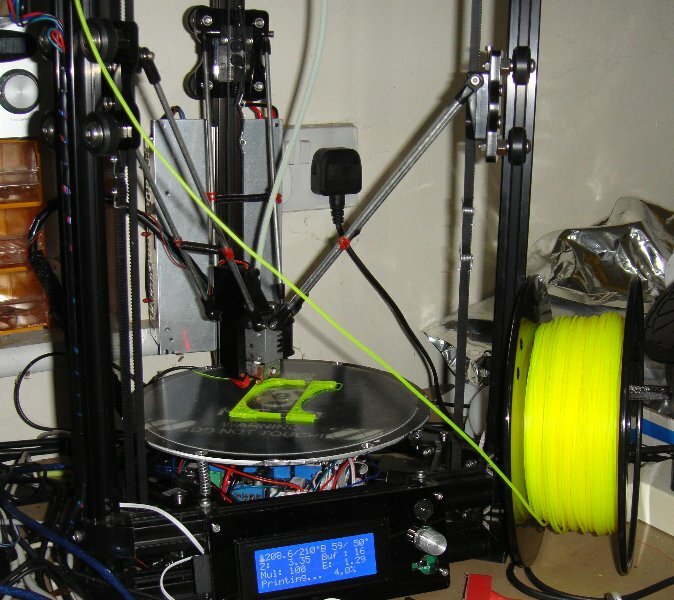 I've just added another 3d printer so hopefully that will stop any obvious delays. 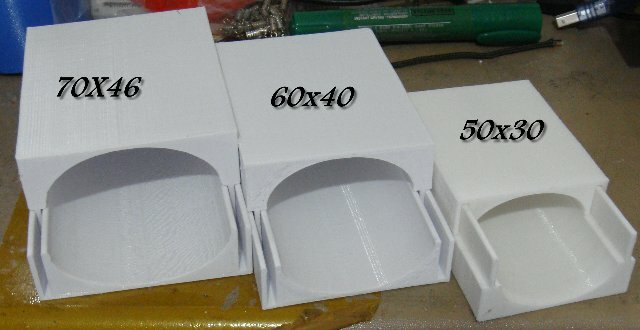 Is there a maximum size mould you can make ? Yes. 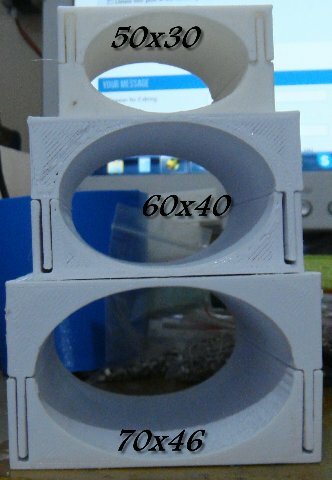 I can make moulds up to 140mm long and 120mm in diameter. As this would produce something about a third the size of a rugby ball and weighing around a kilo, I would imagine - I don't envisage anyone wanting something so large. But should you want to, for whatever reason - it is technically possible. 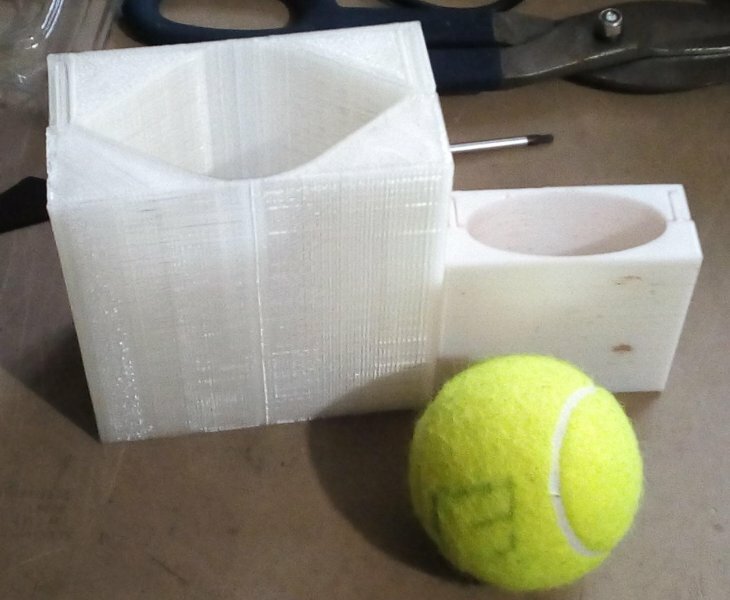 Is there a minimum size mould you can make ? 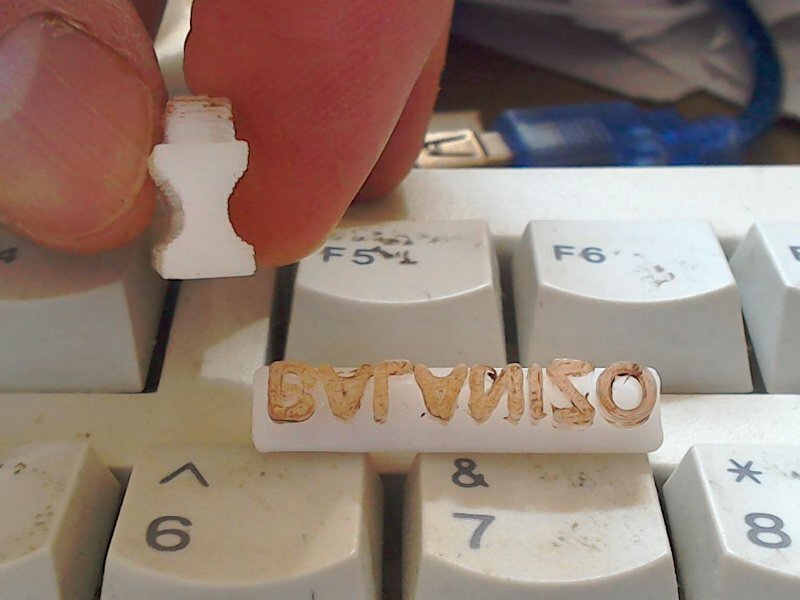 Yes - I can go down as low as 2.5x5mm - for anything smaller I'd need to rewrite the whole script - and that's not happening, unless someone offers me lots of money :-) . I have no idea why you would want something so tiny - unless you intend to train cockroaches to sling. But it's technically doable. 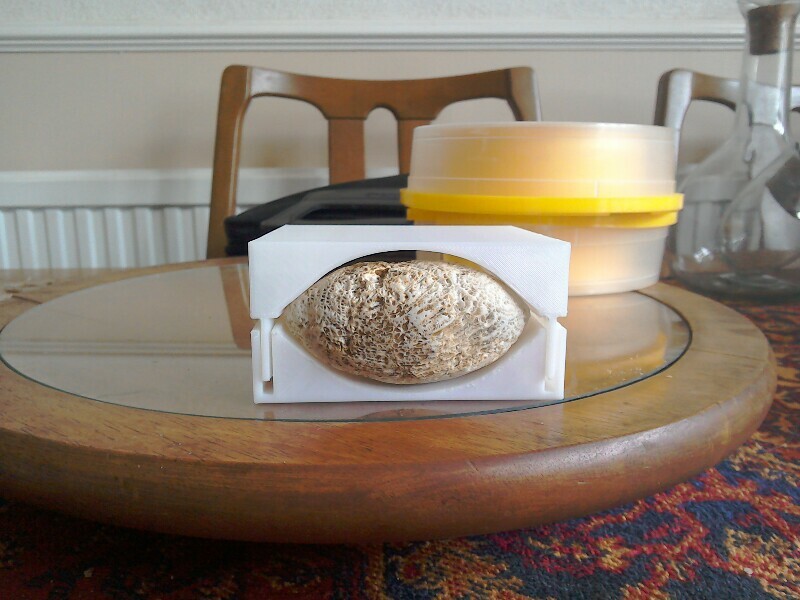 Fred: CA can you make me a traditional ovoid mould set that will make a glande 66mm long with a 33mm diameter. Can I have a text stamp with 'GOT YOU' as well please. P&P should be around £5-£6 (based on past transactions) to most places that aren't the uk. £3 if fred lives in the uk. £16.30 if you don't live in the uk. Fred: Works for me, have some money. ME: Thank you very much, your mould should be ready tomorrow. Excellent. I will definitely be purchasing some. At some point I'll get a decent webcam and make videos of your moulds being made - current webcam struggles after sundown. That'll be something to show the grandkids. "You know, back before teleportation and instantaneous manufacturing, we had these primitive machines called 3d printers. Well that's how granpa got this here antique glande roller. Which unless you behave and eat your greens is all the inheritance you'll be getting !" And the one in the above picture is not the final model - that one was horrible. Got an emergency call out tomorrow, some idiot reset the router in a pub, so now they can't take any electronic payments, sunday morning call out, well it's money - so can't get to a post office till monday. If you're reading this kicktheotter, I'll send your sling as well. So note to people - NEVER PRESS THE RESET BUTTON ON A ROUTER TO RESET IT. Always use the power on and off button. or just pull the power cable out and stick it back in again. The reset button completely wipes the router and sets it back to factory settings. It should really be labelled the: 'If you are not the person who set this router up, then DO NOT TOUCH THIS BUTTON' button. That yellow isn't necessarily a strict requirement for me if its a lot of trouble.. We can go with something else.. When u get back from your trip, I would like to pick one if these up. Offloaded most of the moulds hanging around my workshop in mallorca. Some went as gifts (it was uwe's birthday), some had to pay (hey, I'm skint and they were much cheaper than from here). Next year I'll probably take larger sized moulds. Also working on a couple different shapes (as if it wasn't complicated enough). Pretty sure the delta printer is working properly again. No idea what the glitch was, just printed slanted for a while. Weird. Everything recently has been straight. And that's 30 plus different models. So I'll try another mould this evening. Just let me know when you are ready. I am ready to buy. Sweet can't wait. I think I actually forgot to tell you which text phrase I wanted. Okay here's a couple things you probably don't want to do. This is a 80x40 pointy glande mould. 1) the larger the glande the harder it is to roll. 2) for a pointy glande you really want it to be proportionally much longer than the other shapes. 2:1, essentially just gives you a ball with pointy ends. Aerodynamically it's never going to self orient along the spinning access and you'd probably be much better off with a simple hand rolled sphere. 3) something this size uses a lot of clay. almost 200gm in this case. It'll probably be around 180 ish when dried. Only real use would be target slinging. 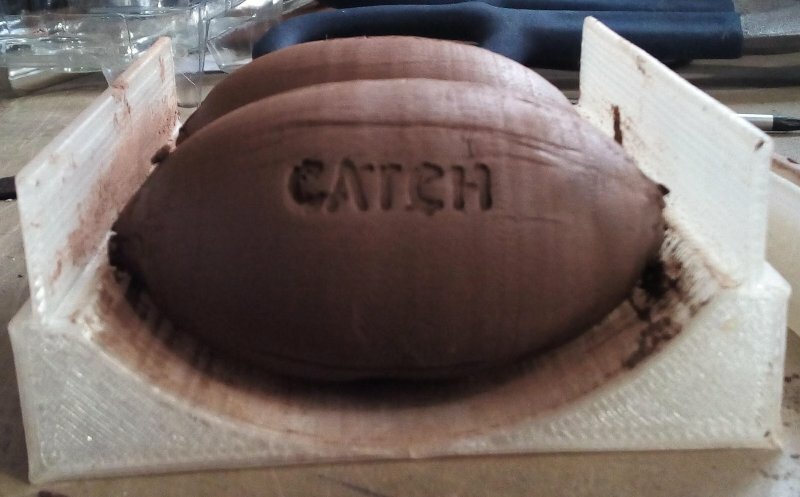 And for that a hand rolled ball is much better suited. 4) uses an awful lot of plastic - the mould is pictures next to a 60x20 standard shape mould using almost 5x less plastic. So a lot cheaper to buy and much easier to use. last pic shows an 80x25 pointy glande, all round a much better shape. Also - for the record, the pointy glandes are the hardest to roll and the most inclines to have holes at the ends. At least that's what I've found. I really like that new one. 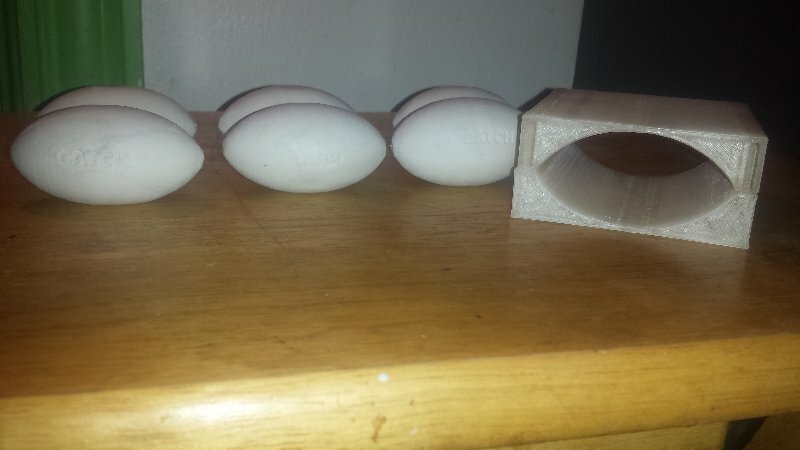 Okay here's the results of the first classic shape roller. This is a 75x35 glande. Uses 110 gms of my air dry modelling clay. After a day drying, it's down to 104. I figure probably 90-95 fully dried. This stuff keeps it's weight quite well. had the glandes on the radiator overnight. now at 90 gms and hard. Just got it today, can't wait to.try it out. But will have to wait a couple weeks before I will get to. Any chance someone could post a video of one in action? Not sure when I can get a video up, but I been spending time playing around with it. It's about a 4 inch block, just roll the pieces together. Here are a few pics of what I did. Yesterday was my first time, today was my second but I am sick, so I think it's giving me some issues, with my head being foggy with my meds. I apologize fir the large pics, it's my phone, and I domt kmow how to resize em. I usually email my phone pics to myself as “medium” before posting. Works for the iPhone at least. Sounds like too much work. I am not technology savy as it is. With the roller, all it is, you place the ball of clay in the middle, put the 2 pieces together, abd roll back and forth. I an gonna try to get a video tonight, but can't say for certain. And wow - how the hell do you get them that smooth ? If you're sensible and have an android phone then this is a great app. What i use on the phone. zip file attached to this post. unzip and install - works for all versions of windows 32&64 bit. Adds a right mouse click option to resize photo. Small is best for posting on the forum. So once installed you simply select one or more photo's, then right click and select photo resize. Select small and ok and it will resize the pictures and generate some new - smaller images. Occasionally i have to work on them for clients. Awful machines. Even more occasionally i have to try and recover files from dead drives. This could be a very long addendum - basically I'll summarise several thousand words of ranting: do not buy apple kit ! It's designed to be disposable and they don't give a crap about your data. Once the file system directory goes - you lose everything. Does not happen on windows systems. Lol. I think its just tge pictures. I didn't do anything. It's just how they came about. I did notice on the mold, then inside isn't totally smoothnot too bad, but I might hit it with some sandpaper lightly, to clean it up. It didn't seem to affect the clay, but on close up look. U can notice it somewhat. I am very happy with it. I only use android. And sumsung phones. Anything else. No thanks. No real way to completely eliminate print lines. I tend to do a little filing and quick sanding on the moulds post print. But too much and you've changed the dimensions and I like to get those as close as possible. On the other hand I reckon it makes rolling easier, adds a little grip to the clay. 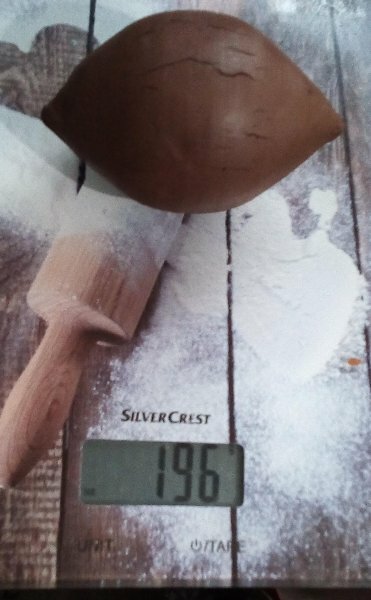 So what weight of clay are you starting with ? The two I made ended up bang on 88gms fully dry. I was thinking of hitting it lightly with sandpaper real quick, it when I went to throw yesterday. It didn't really seem to affect it to much. So I might just leave it like that. I pulled out my reptile digital scale the other day, but it seems to have died, I am in the middle of getting it replaced. Add o I haven't been able to measure out the clay yet unfortunately. I actu5just sent this link to a few people on another forum, they are interested in getting one. Just a heads up. Currently wondering if a mould with built in dimples, would make a dimpled glande. I can't see why it wouldn't. 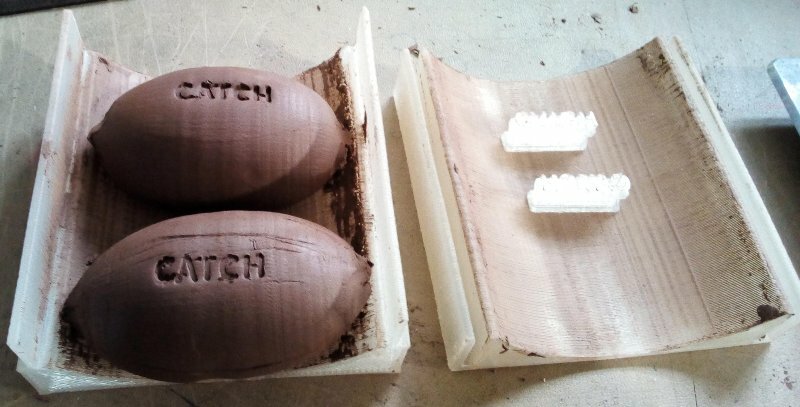 Either directly, or roll a smooth one with standard mould and do one pass through a dimpled one of the same size to create a clay golf cross 'ball'. Or maybe a shaped dimple stamp. The maths will no doubt make my head hurt ! 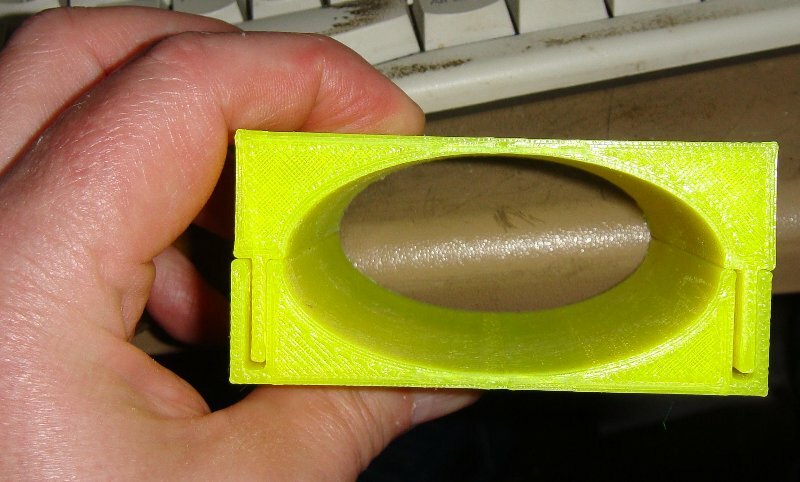 I think a dimpled mold is doable, not sure how to write the software for it. But look forward to it definitely. I did a quick video on how the roller works. Just don't mind my speaking skills I tend mess up while talking while recording video, not sure why cuz I have great public speaking skills. But anyway here you go. @CA: If you don’t beat me to it, I will see if I can come up with a way to auto generate the dimples in a scalable way and send you the code. It’ll be a fun challenge, but it doesn’t sound easy! 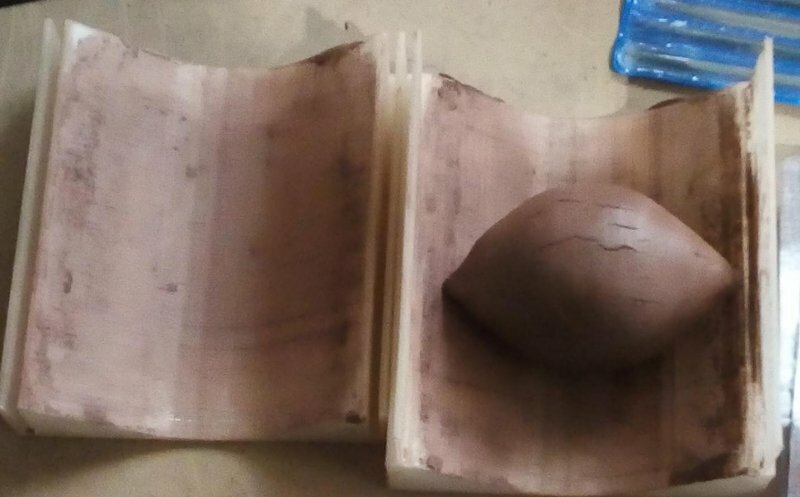 I make the moulds by either reshaping a sphere, or making a flat 2d shape and stretching it. 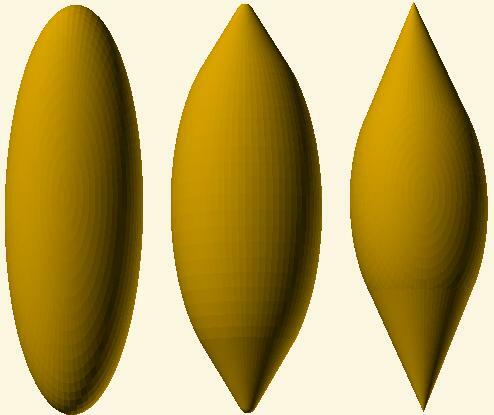 If you add dimples to the sphere, then you don't get even dimples, some of them will be invariably stretched. I have no idea if that's a bad thing. 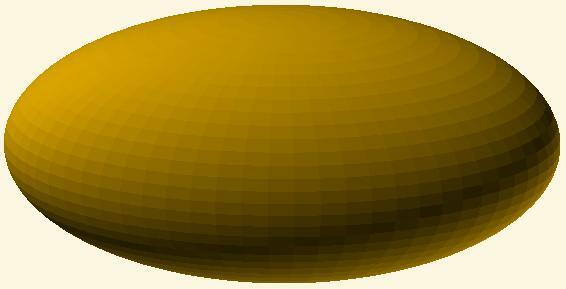 Also openscad always crashes when i try and make the initial dimpled 'golfball' - so I've yet to get beyond that point. Adding dimples to the final mould file would be more effective, but I suspect the maths to work out how the dimples are place to give even depth hollows is beyond me. Glad I could help. I freaking love that mold. @Mersa: are you saying you only have one sling?! Well, you could always try hand rolling some clay ammo first to see how it works with your sling. That might help you decide what size roller to buy from CA. plus you can always mix some lead shot in the clay. The air dry modelling clay i use is pretty dense. Just changed the pricing system. Just add the length and diameter together and divide by 8 to give cost in british pounds. I'm also adding international economy post. Package I just sent to Australia (221gms - 2 moulds) would have been £6.40 by airmail but was just £4.20 by economy. Airmail would take 5-8 days to get there. Economy 30-40 days. It's going by ship I presume. oh yeah the parcel to australia took less than 2 weeks ! 54x25 pointy groove half being printed.